An album of incomparable beauty matching piano wizardry of Carolyn Hume and vocal wonder of Katja Cruz. Singing their wordless song, they create the haunting, mysterious, mesmerizing atmosphere full of suspense and ghostly images which will stay in your memory for a long time. This is both the magic and mystery of making music. 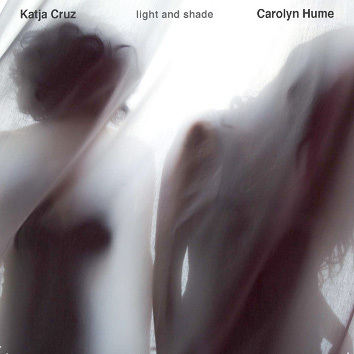 "Light And Shade" is the nineth CD by Carolyn Hume on Leo Records and the fourth one by Katja Cruz. Carolyn Hume is famous for forging her own style of playing the piano and Katja Cruz is a multiple talent covering everything in between the Argentinian tango and improvised music.